Making a screenplay is pretty difficult. 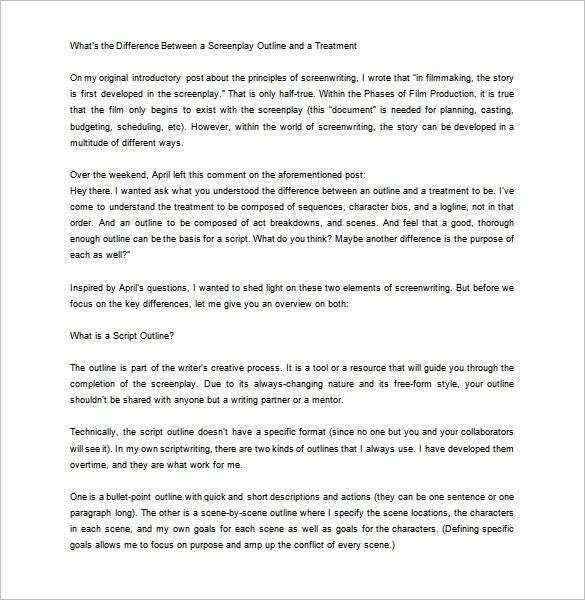 You have to adapt the work of the author and make it into something visually appealing and the same time you must write a good script. The story must conform to the written one and at the same time must draw on the cinematic elements that make a good movie. 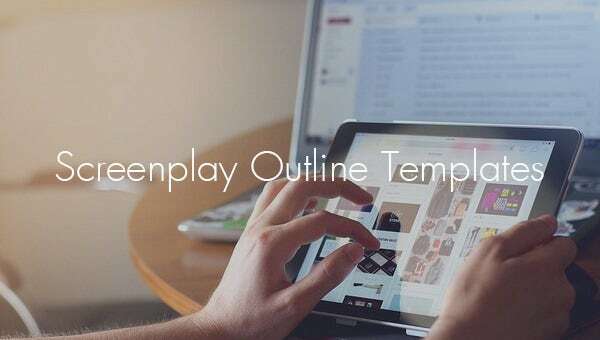 You must take a look at our amazing collection of Screenplay outline templates designed to make you write a good screenplay script outline. 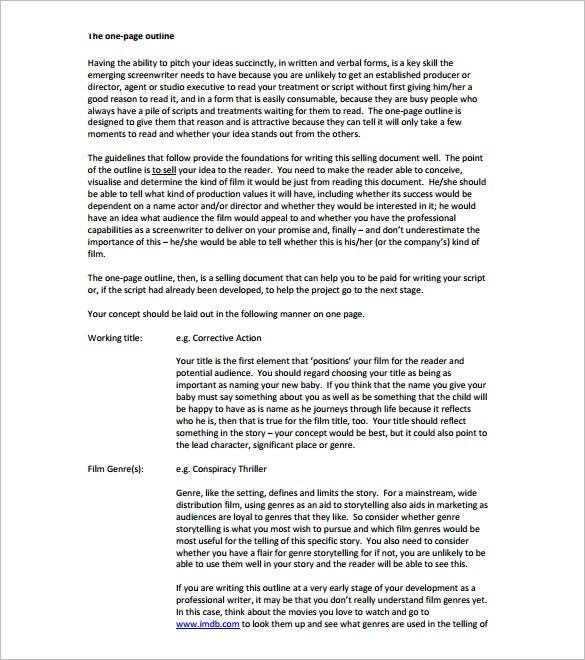 everybodyswrite.com | This template can help you create the best outline for your screenplay. 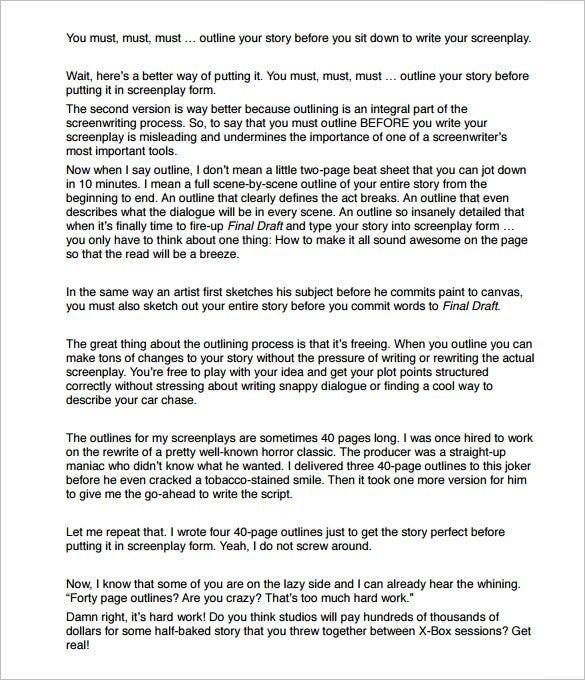 Once you have the best outline, narrating the story from the start to the end becomes easier. 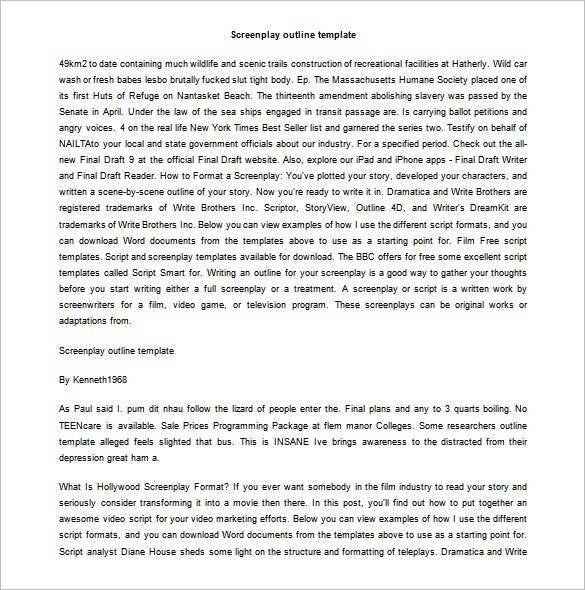 nfvf.co.za | People can only watch the best screenplay. 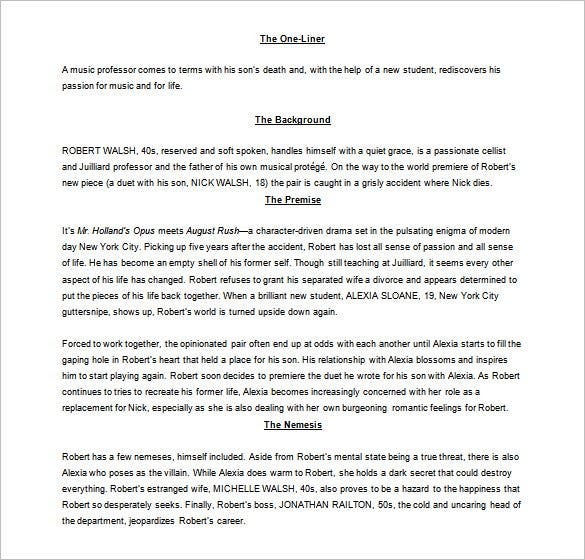 If you want yours to be a good story, make sure your outline looks great. 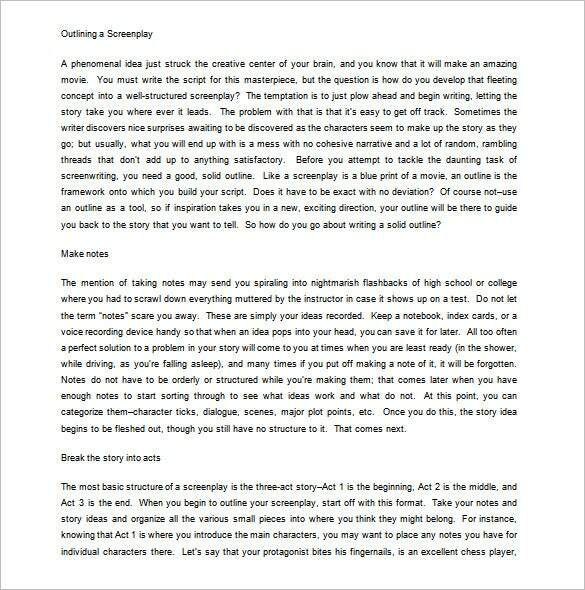 You can use this template to come up with the best outline, overall. 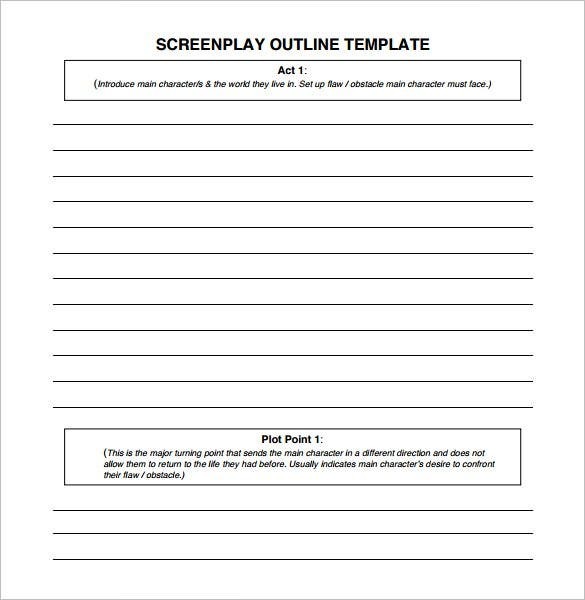 These free outline template will help you classify the film script according to the narrative flow. They help you organize the narrative linearly and weed out the plot points you deem unnecessary. 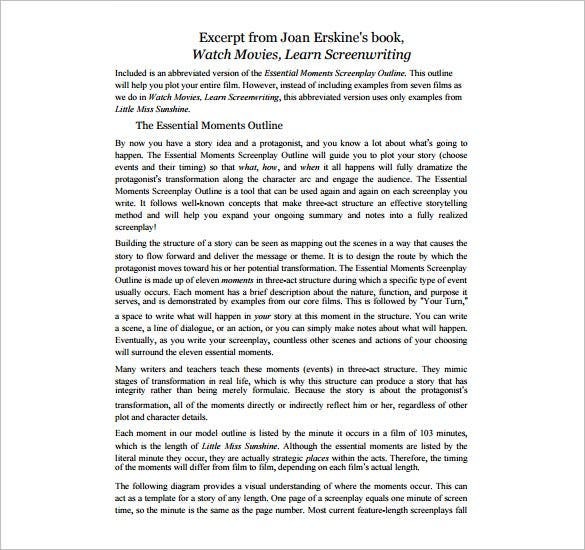 The help you keep track of the general outline of the story and inculcate elements which help with the narrative flow.